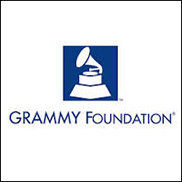 SANTA MONICA, Calif. (CelebrityAccess) — The Grammy Foundation Grant Program announced that it will award more than $200,000 in grants to 14 recipients in the United States to help facilitate a range of research on a variety of subjects, as well as support a number of archiving and preservation programs. The research projects include a a study investigating the impact of listening to music and how it is associated with emotional regulation in service members with post-traumatic stress disorder, and a study that will research a musical biofeedback-based intervention for epilepsy. Preservation and archiving initiatives receiving grants include the assessment of music ethnologist Halim Abdel Messieh El-Dabh's life's work in electronic music production as well as a project preserving comedy pioneer Lenny Bruce's personal tapes.